Increasingly, educational researchers and policy-makers are finding that extracurricular programs make a major difference in the lives of disadvantaged youth, helping to reduce the infamous academic attainment gap between white students and their black and Latino peers. Yet studies of these programs typically focus on how they improve the average academic performance of their participants, paying little attention to individual variation. 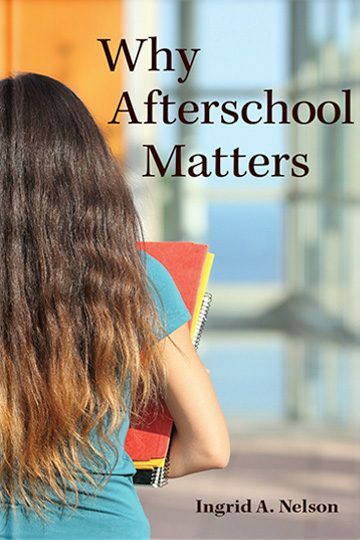 Why Afterschool Matters takes a different approach, closely following ten Mexican American students who attended the same extracurricular program in California, then chronicling its long-term effects on their lives, from eighth grade to early adulthood. Discovering that participation in the program was life-changing for some students, yet had only a minimal impact on others, sociologist Ingrid A. Nelson investigates the factors behind these very different outcomes. Her research reveals that while afterschool initiatives are important, they are only one component in a complex network of school, family, community, and peer interactions that influence the educational achievement of disadvantaged students. Through its detailed case studies of individual students, this book brings to life the challenges marginalized youth en route to college face when navigating the intersections of various home, school, and community spheres. Why Afterschool Matters may focus on a single program, but its findings have major implications for education policy nationwide.